Here at Garage Express in North London our mechanics see and inspect many modern car’s turbochargers, more often referred to as a turbo, which help to boost the engine’s power. The turbo has been designed to last as long as the car does, however the turbo can become damaged over time. 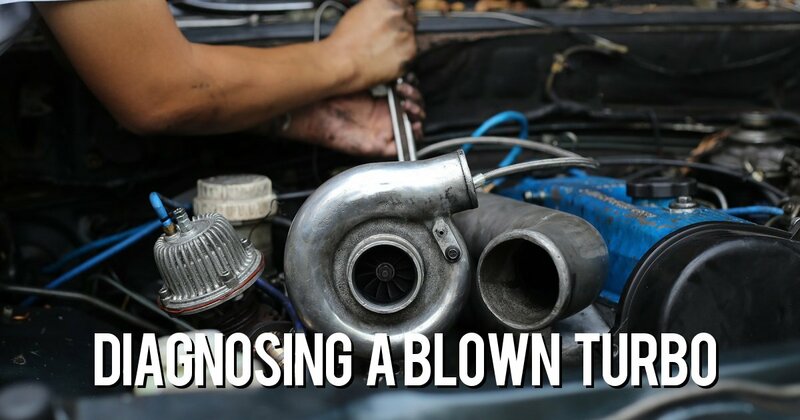 What are the signs of a blown turbo? There can be a range of signals that can be associated with a turbo failure. However, if you closely monitor how the car is performing, you can often spot the tell-tale signals of the most common problems and therefore confirm the possible turbo issues, with the need for a garage to then run a diagnostic test to pinpoint the root of the problem. Can you drive with blown turbo? The longer you drive your car with a blown turbo, the more damage the engine will have and therefore the more costly it will be to repair. Although the car will move with a blown turbo, it would be far more preferable to stop driving it and have the car taken to the garage to have the turbo repaired or a replacement installed. The longer the blown turbo is left without repair, the more damage can be caused to the car’s engine. What do you do if your turbo is blown? Once it has been determined that the turbo has blown, you have 2 options. Firstly, you can purchase a brand new turbo and have that fitted. Alternatively, if you wish to reduce the costs, it is possible to recondition and repair the turbo you have. Naturally, the preference should be to have a new turbo as this will come with a longer warranty and will last longer than a reconditioned turbo. As can be seen from the issues highlighted above, there are plenty of points to look for and consider if you find that you have a blown turbo. If you suspect that is the case with your car and would like to discuss a replacement or would simply like some advice, please give one of our customer service team at Garage Express in North London, and our technicians and mechanics will be happy to help. At Garage Express we always recommend the replacement of a blown turbo rather than repair. This service provides our customers with the peace of mind that the replacement turbo is covered by the manufacturer’s warranty. Book your Car, Van or Minibus using our quick book from or call our team on 0208 905 8788. Fleet Manager, Fleet Van Servicing Centre North London. Whilst travelling to you you ordered the part, and an hour after my initial call my van was on the lift and a new starter-motor was being fitted. An hour later I was on my way back to work. I cannot thank you enough for your help. Not only did you go out of your way to keep us working, you did it at a very sensible price. &COPY; 2019 Garage Express. All rights reserved.